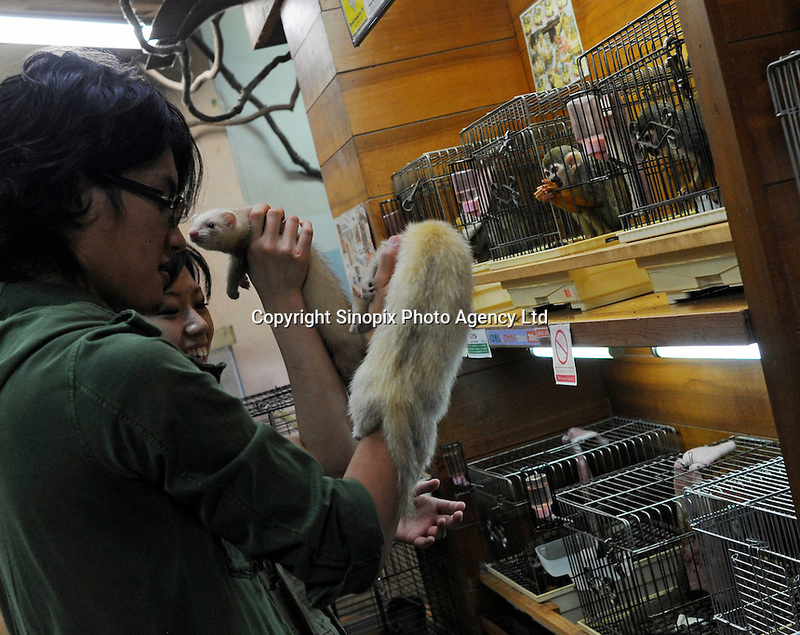 A teenage boy and girl hold white ferrets which are for sale in the world's most exotic pet shop called Noah Inner City Zoo, with cages of squirrel monkey in the background. The monkeys sell for 6,235 US$ for a male and 7000 US$ for a female. The Noah Inner City Zoo is a pet shop that sells exotic animals. The 'zoo' claims to have more than 300 species for sale, many of which are rare and some are endangered.